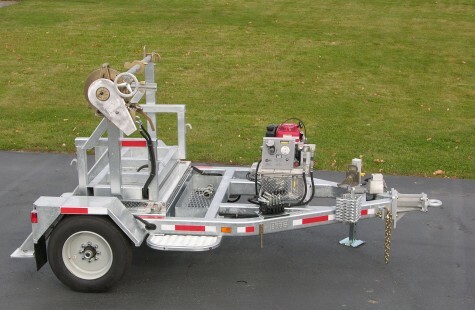 Click here to view our Turret Trailer video. 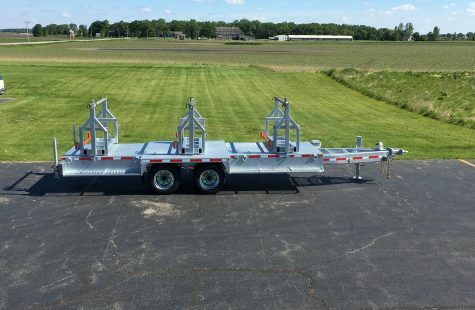 Line up the work without lining up the trailer. 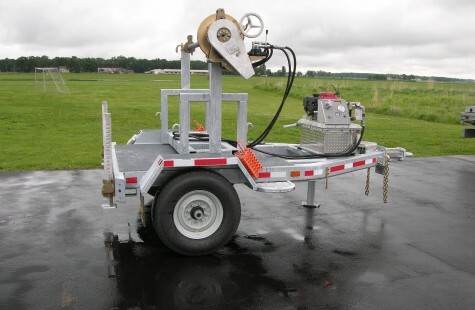 Turrets are a great way to increase productivity in the field and make quick work of cable or wire installation. 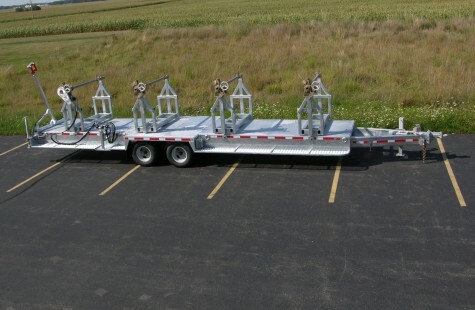 Galvanized turret frames lock on 6-degree intervals with a stainless steel and bronze positioning system. 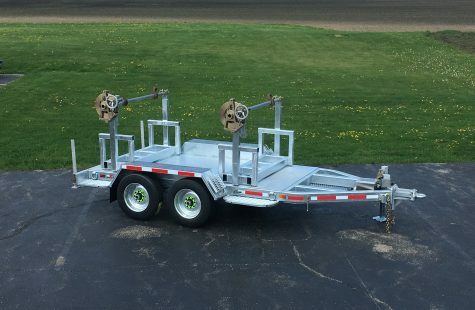 Modular turntable bearings provide 105,000 lbs axial and 19,000 ft-lbs moment load capacity and are so over-speced, we guaranteed them for 10 years. 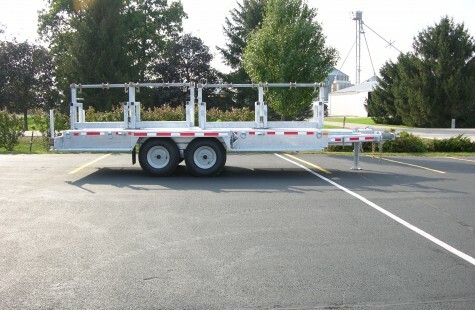 Retrofits for your existing trucks and trailers are also available.